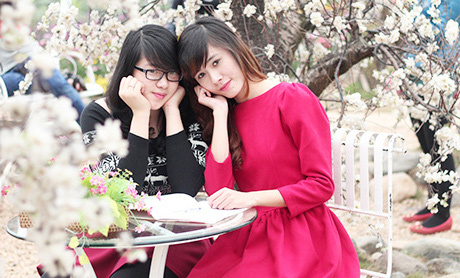 Hanoian women have rushed to the famous flower villages of Nhat Tan and Quang Ba to take photos in the lead up to Tet holiday. Due to the long-lasting cold spell, peach flowers have blossomed late compared to previous years. 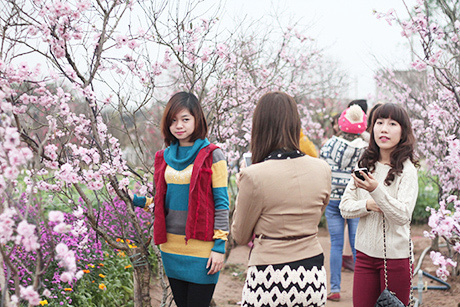 People have arrived in Nhat Tan and Quang Ba from the early morning to plan their shoots. In order to meet such a rising demand, several gardeners have designed a special corner for guests to take photos, charging them VND10,000-20,000, or about a dollar a person. 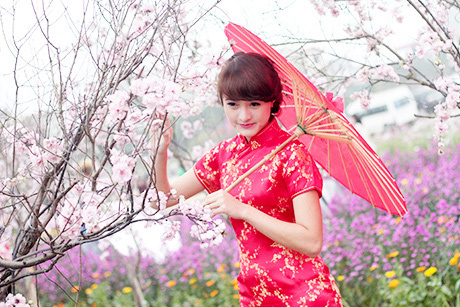 Many young guests tend to prefer taking photos by fake peach trees rather than real ones due to their brighter colours. A garden owner said that they had welcomed around a hundred people who wanted to take photos per day.